DART PRO ONE 345cc BARE BBC HEADS, WITH CNC'D COMBUSTION CHAMBERS. 122cc COMBUSTION CHAMBERS 345cc runners. This sale is for a set of heads (2 bare heads). PART # 19300030. INTAKE RUNNER: 345cc. 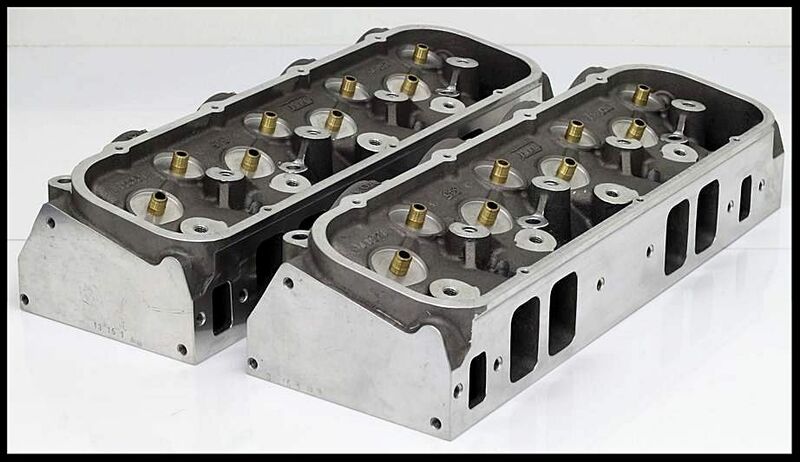 DART'S HIGHLY POPULAR BIG BLOCK CHEVY PRO 1 HEADS FEATURE. ROLLED VALVE ANGLES, IMPROVED SPARK PLUG LOCATION, RAISED EXHAUST PORTS AND FAST BURN CHAMBERS. CAN BE USED WITH SHELF PISTONS, VALVE TRAIN COMPONENTS AND INTAKE MANIFOLDS. 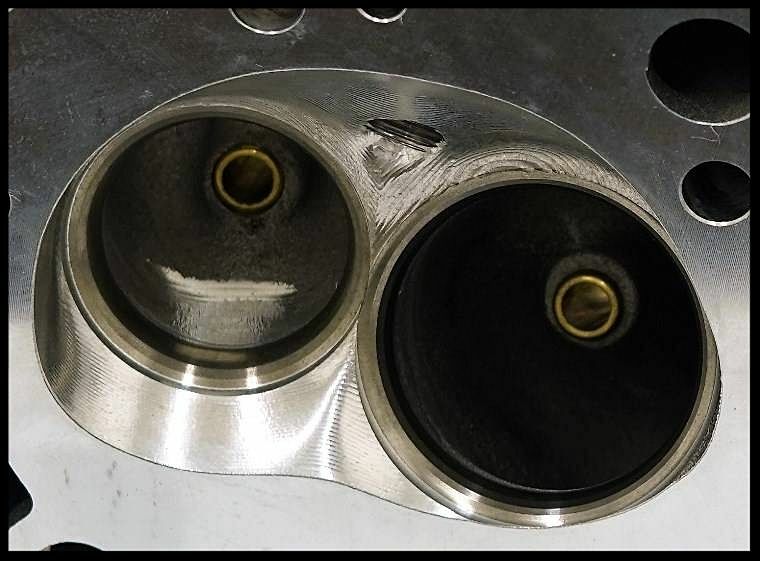 Pictured below is the CNC'D combustion chambers. The cnc'd combustion chambers were done for us by Dart. We have found this feature to increase the HP numbers by approx. 10-15. To be clear on this the runners are not cnc'd, just the combustion chambers. We have complete top end hardware kits available for the Dart heads in our other listings. The kit has the correct head and intake gaskets, head bolts with special washers, and stainless intake bolts. The part number is TEK-1017-1275, or any TEK kit that has the 1275 part number in it. The first number is the type of head gaskets, and we have several different head gaskets that will work with the Dart heads. The 1275 is the intake gasket part number, and that is mandatory for use with these heads. Uses valve size 2.300 and 1.88. These heads have the correct seat diameter to allow the use of these valve sizes.